I'm sure I'm not the first one that cames up with this idea, but I think it is funny enough to share it with all of you. 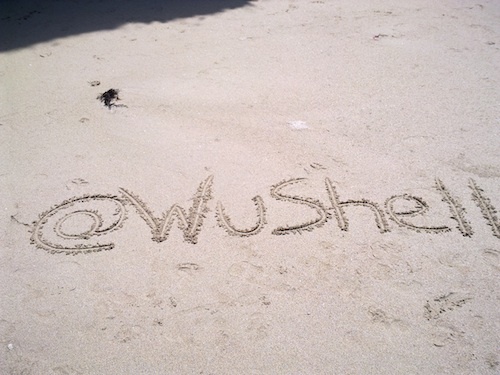 "Hey!, wouldn't it be a good idea if I just write my twitter ID on the sand, leaving it there for everyone to find it?" I know... probably 90% of the people will have no idea what would be the meaning of that, but that 10% would be worth the effort. Try to write the ID on wet sand, the ID will be more readable. Of course, wet sand means that the sea will cover the ID sooner or later, it would be a good idea to keep an eye on it and write it again later. 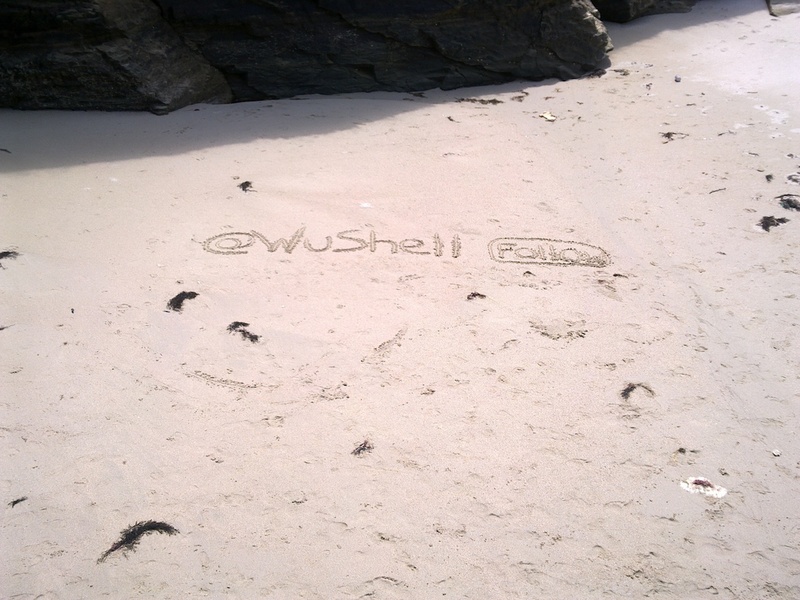 Take some pictures of the writing and the place where you'd written it and put them on your blog. Don't show clearly where it is, but take some shots and spread the word/idea.